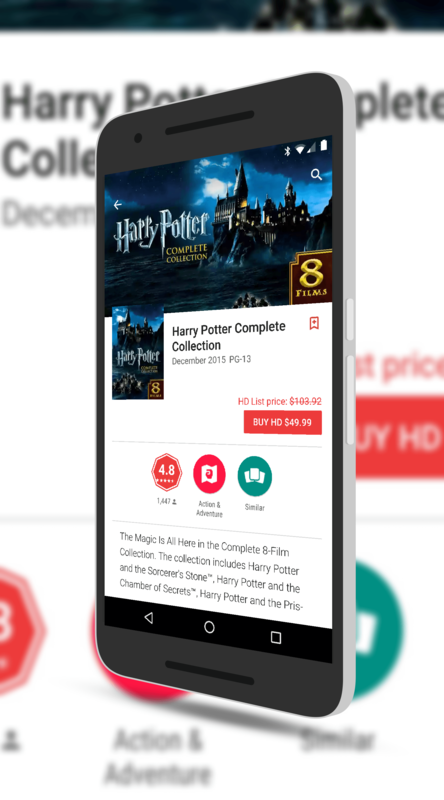 Harry Potter fans, there is a great deal for you this week in the Google Play Store. Right now you can pick up the entire 8-movie collection of Potter movies for $49.99. That is a huge savings of 48% off the regular price of $103.92. All of the movies are in HD and because you are getting them through Google Play, you can Cast them to your TV via Chromecast or Roku and can download them to devices to watch offline. It is a great deal for sure.